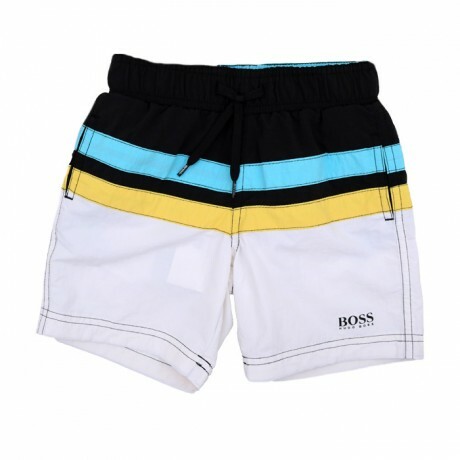 From Boss, these swim shorts are perfect choice for spending holiday at the beach. Formed from selected material, these shorts are designed with ribbed elastical waistband and drawstring attached on it. They also come with three pockets to keep his little things and designer logo print on the right part. Let your son move freely with these swim shorts!